Shiromani Gurdwara Parbandhak Committee (SGPC) chief Avtar Singh has urged the Bangladesh government to allow the SGPC to take care of and ensure preservation of all seven Bangladesh-based historic Sikh shrines relating to Guru Nanak Dev. Meanwhile, condemning the action of Haryana Sikh Gurudwara Parbandhak Committee (HSGPC-Adhoc) chief Jagdish Singh Jhinda and his associates who had allegedly “misbehaved” with the SGPC chief during his recent Karnal visit, Gurmat Sidhant Parcharak Sant Samaj chief Harnam Singh has said by resorting to such an act Jhinda and his associates had tried to divide Sikhs. The SGPC chief has appealed Bangladesh Prime Minister Sheikh Hasina, who was currently on a state visit to India, to allow the “Sambh Sambhal” (care taking) of the seven historic Sikh shrines as these buildings were facing extinction owing to absence of proper maintenance. After the 1971 war, then Bangladesh leader Muijb-ur-Rehman had thrown a party in honour of legendary General Jagjit Singh Arora after Bangladesh turned into an independent country following the war. Mujib-ur-Rehman, according to the SGPC chief, had promised General Arora that his government will be handed over to Sikhs. Since there was no Sikh in Bangladesh at that time, some Sikhs were taken from New Delhi and a board was formed to run the Sikh shrines as per the Sikh rituals. But, shortly after that the board had turned defunct. 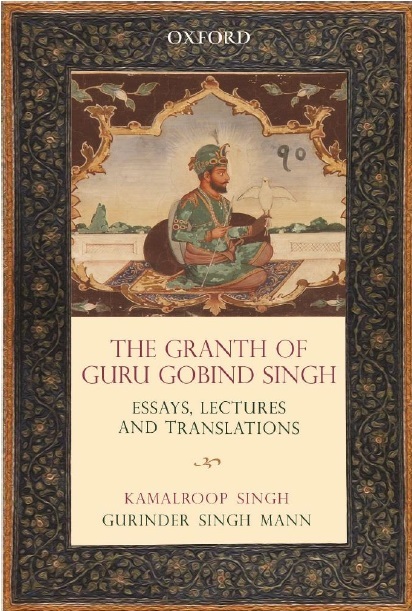 “After this, with the efforts of the SGPC a granthi was sent to Bangladesh to take care of the Chittagong-based historic gurdwara but, he too had to return after a short while as he was accorded a short-term visa. Now, absence of proper care had turned the Sikh shrines into dilapidated buildings. These shrines were of immense importance to Sikhs as these belonged to Guru Nanak Dev, who had visited a number of places in Bangladesh during his ‘Udasis”, said Avtar Singh. He asked the Bangladesh PM to ensure long-term visas for Sikhs so that they could maintain these shrines. “We also intend to send Jathas to Bangladesh,” he said. On the other hand, the issue of alleged misbehaviour with Jhinda and others at Karnal has taken a new turn with Sant Samaj chief Harnam Singh, who was also the chief of the Damdami Taksal, asking Sikhs to not to entertain Jhinda and his associates.